Roundhouse Agency approached me to collaborate and design a centerpiece table with an interactive storytelling element. 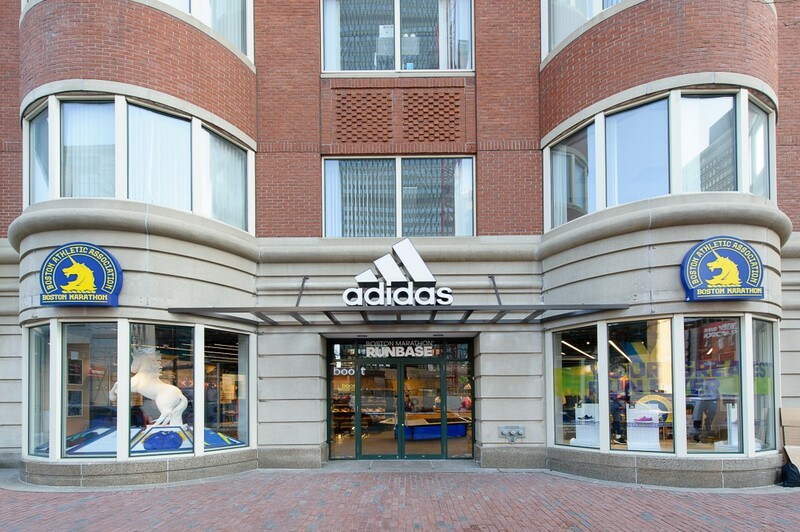 adidas partnered with the Boston Athletic Association, (B.A.A.) 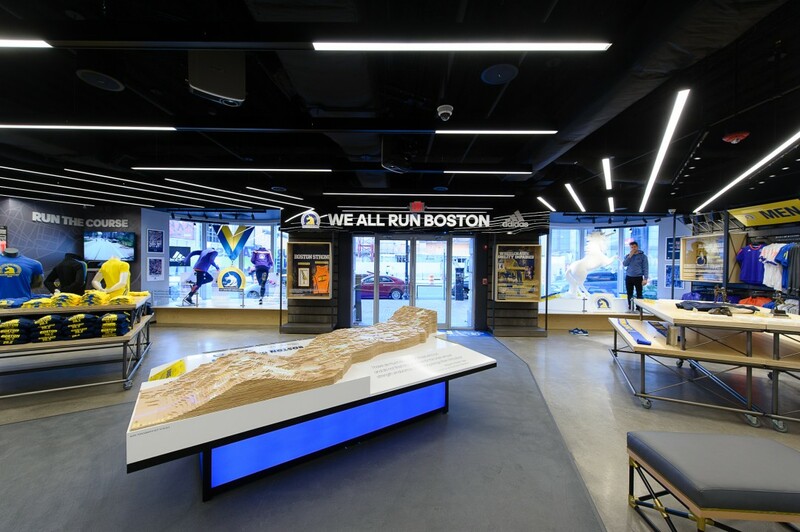 to design and build the Boston Runbase, which is a store/runners home base. 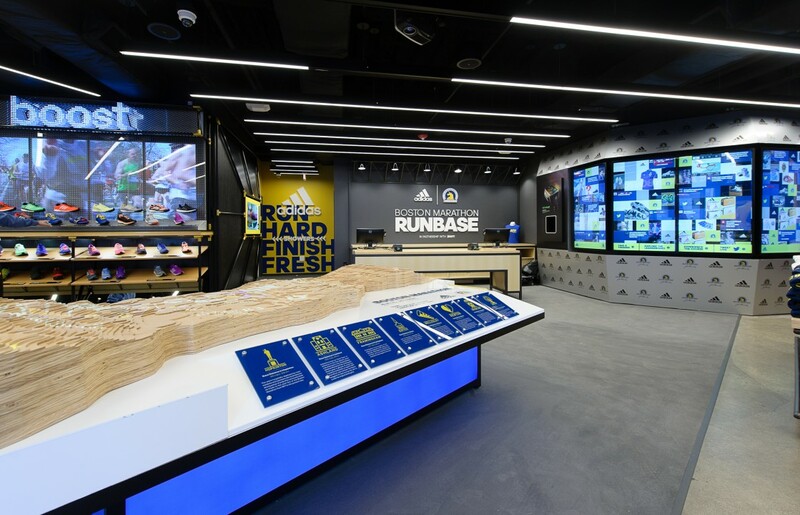 Runbase lives two blocks from the finish line of the Boston Marathon. 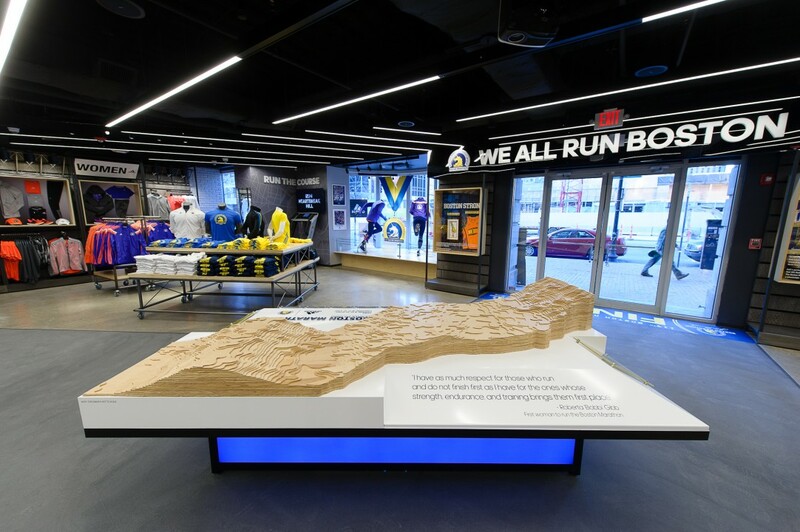 It’s not only a store, but a gallery of memorabilia, vintage photographs and detailed key moments from the Boston Marathon. 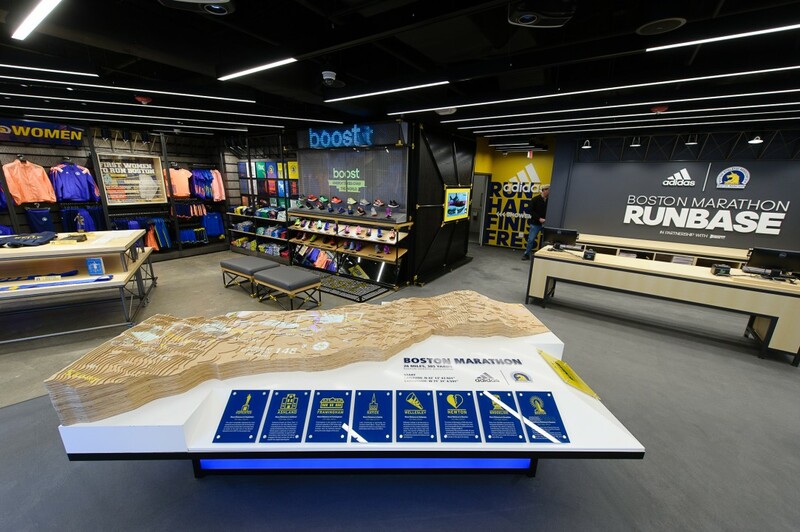 My role in this project spanned from initial concept, design implementation, rendering and animation for the projection. 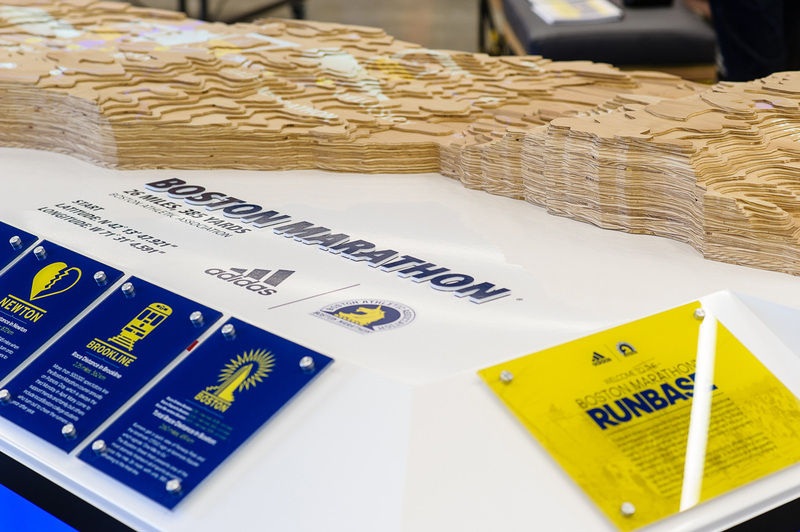 Animated Townships. 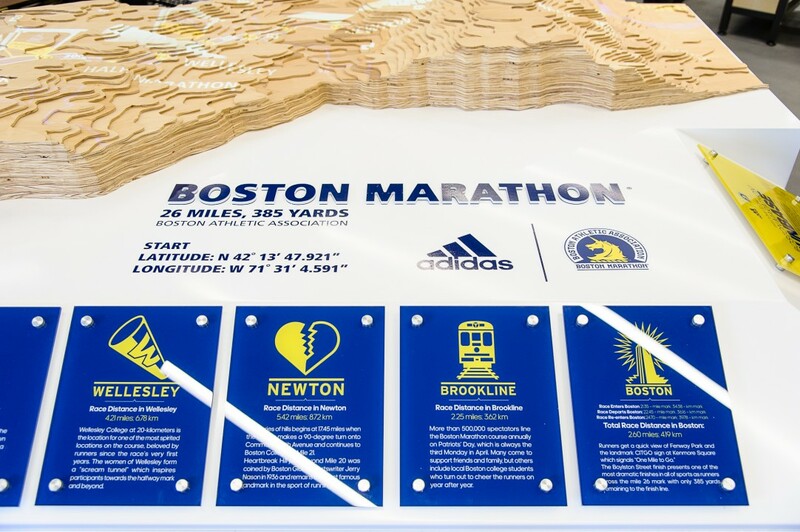 Key markers and Landmarks seen along the route of the marathon.